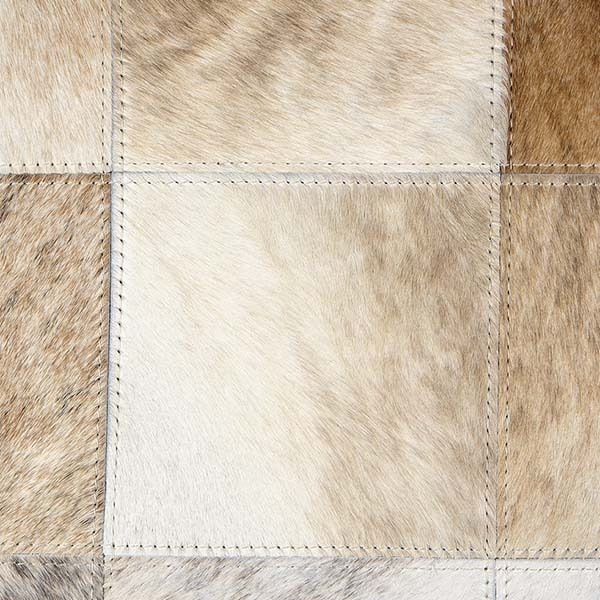 Pinto, made of 100% cowhide leather, is traditionally woven in Belgium. It features a patchwork pattern that is handmade and is available in a neutral tone. The rugs are latex-backed, making them anti-slip and sound-absorbent. Pinto does not require additional finishing (binding); it comes with a self edge. Pinto is only available as an area rug. The roll width is 16' 5". All of our rugs are custom-made to order. For more information or to create a custom rug, see our rug builder below. Freight is free with all rug orders.